Plot — Discover and track movies ($1.99) by Ben Howdle and Jack Smith is a gorgeous app that should be on the iPhone of any movie fan. If you want to have a single place for keeping track of films as well as the recommendations and mini-reviews from friends, then Plot is a must-have in your collection. 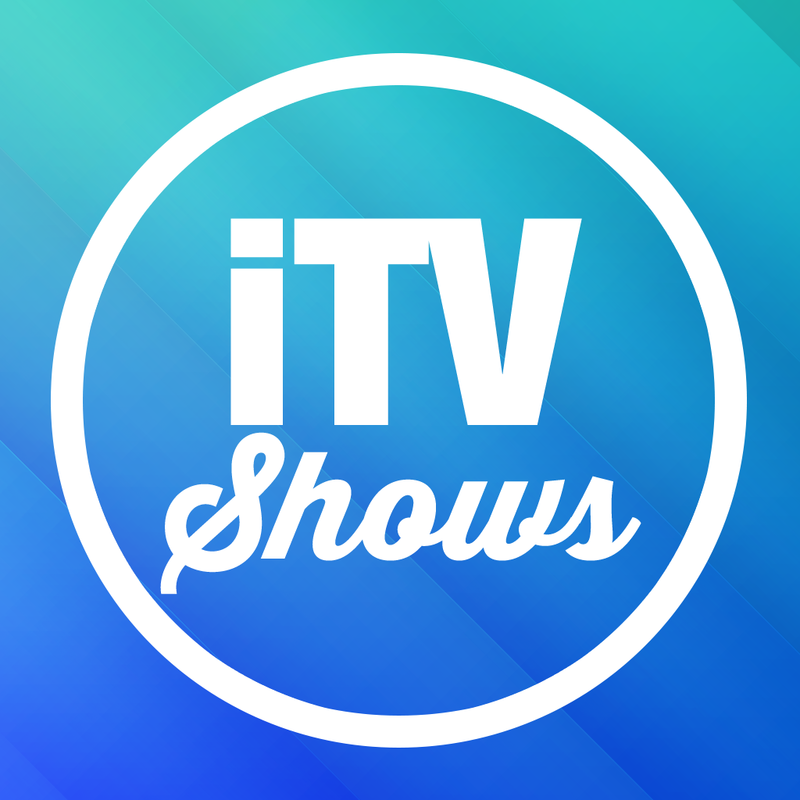 It is similar to other apps out there like Todo Movies 3 and iTV Shows 3. Last night, as most of you may know, was the Oscars. While I love watching movies, I never take the time to watch award shows, as I don’t agree with any of the winners anyway. However, it’s a nice way for me to hear about films that I may have missed and need to watch, so at least there’s some good to the Oscars I suppose. I also managed to discover Plot last night as well, since it went free for the day in celebration of the Oscars. Even though I got it for free, it’s an app that is worth paying for if you are a film connoisseur, as I haven’t been disappointed. The design of the app is gorgeous, and definitely one of the main reasons I was drawn in to the app in the first place after seeing it on the App Store. 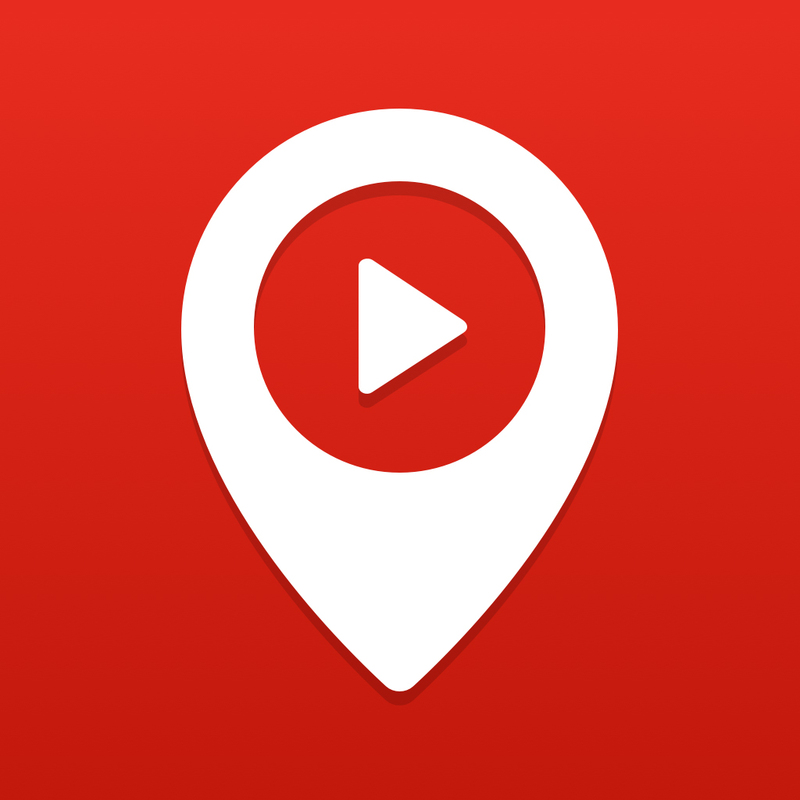 Plot features a flat motif that fits in well with the overall aesthetics of iOS 8 (requires at least iOS 7 to run) — the header bar is a flat and thick red bar, and the bottom toolbar for navigation is a muted gray with a red accent button in the center for search. The colors work exceedingly well together, and the app uses a beautifully legible typeface (Avenir). 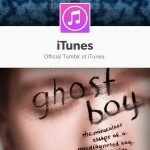 The app also places a lot of emphasis on visuals, which is evident with the gorgeous movie poster art and thumbnails. All-in-all, Plot is an exquisite package in terms of style as well as functionality. 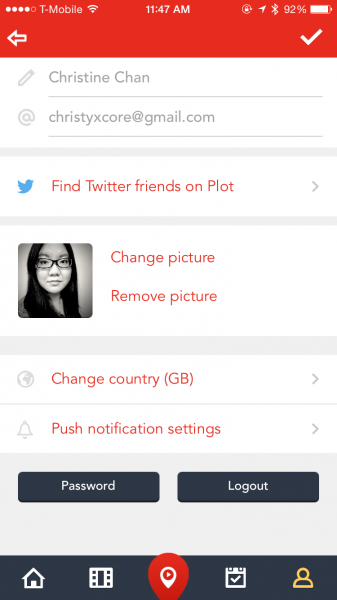 In order to use Plot, users will have to create an account, unfortunately. However, this is due to the fact that Plot is a mini social network, and once you make an account, you are able to find your Twitter friends, though this feature is a bit hidden in the profile settings screen. When you start following some friends, their activity (watched and recommendations) will show up in the Home tab. You can comment on these items. 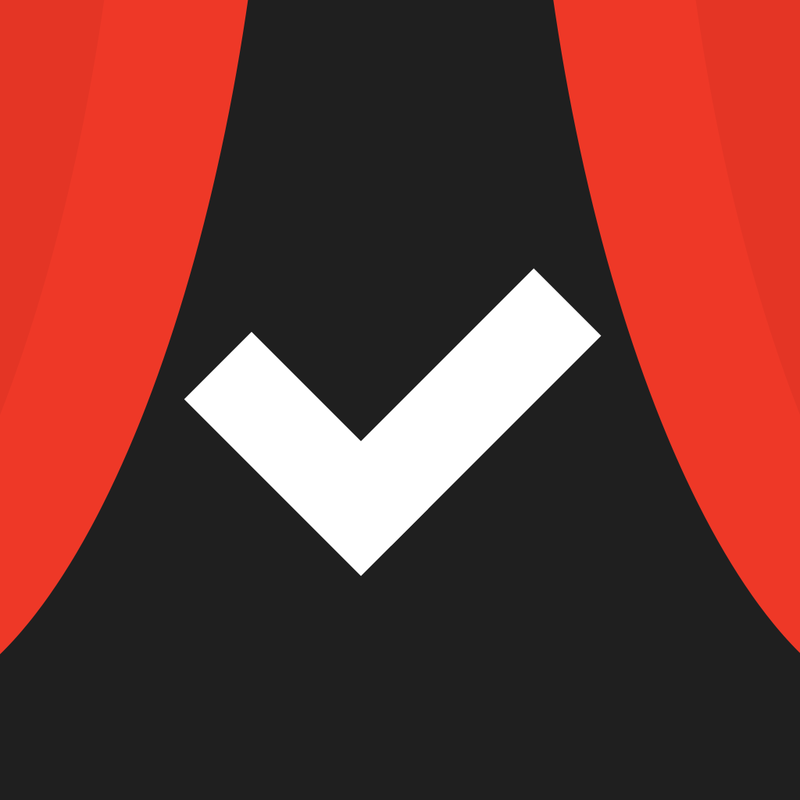 In Plot, there are two things that you can do: mark a movie as seen or add it to your Watchlist. But before you can do either of those, you have to find the movie you want first. 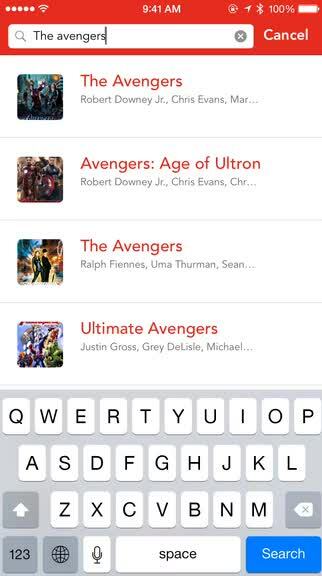 The app has a search button in the top left of any screen (this is for movies and finding users), or you can use the center button of the bottom toolbar to “check-in” to a movie faster. Either way, just type in the keywords you want, and the app will bring up search results in real-time. 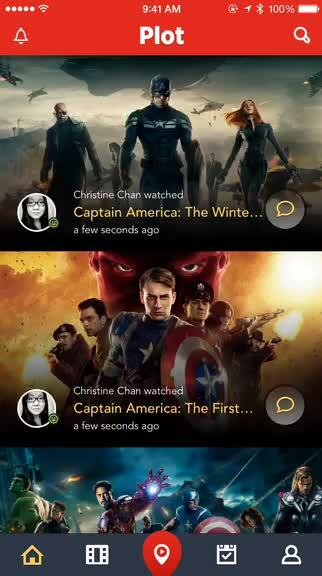 When the film you want shows up, just tap on it to bring up the movie profile. This shows the TMDb score and other details for the title, including release date, director, cast, runtime, and a synopsis. There is even a “play” button in the header image so you can watch movie trailers directly. 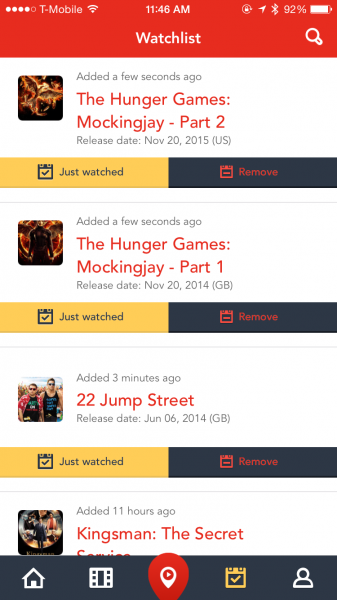 A movie profile can be shared with others through the native Share Sheet interface. If you have seen the movie already, just tap on the “Just Watched” button. From here, users can recommend (or not recommend) the title, and even type up a mini review — these should be kept short and sweet, not a full on Roger Ebert style review. These brief reviews can also be shared on Twitter and Facebook, though this is completely optional. For those titles that you want to watch someday, just add them to your Watchlist with the button. 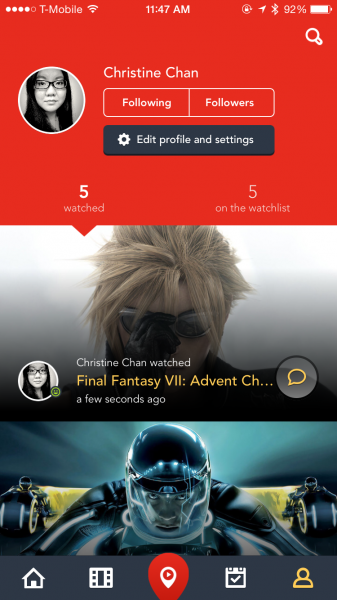 You can access your Watchlist at any time by tapping on the tab with the checkmark icon. But what if you have trouble finding a film to watch or review? Fortunately, Plot’s Discover section should have you covered. Here, you are able to browse through the “Popular & Upcoming” section, or view curated “Collections” from the editorial team. Each collection is unique and the titles are hand-picked, so you are bound to find some new titles in those. Both sections are updated regularly. 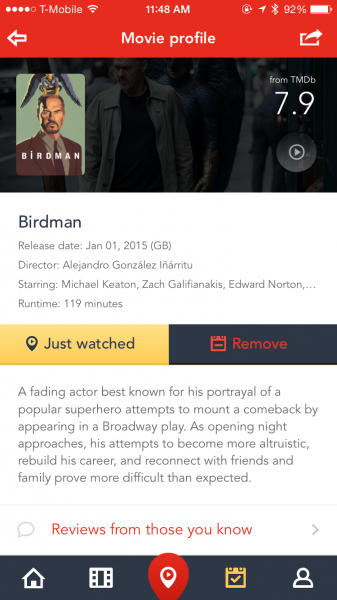 Since Plot allows users to add upcoming films to their Watchlist, this is complete with the option of having notifications pushed to you when a movie comes out. I love this functionality, since it means you will never miss a release. I’ve only been using Plot for a short time, but I am in love with the app so far. 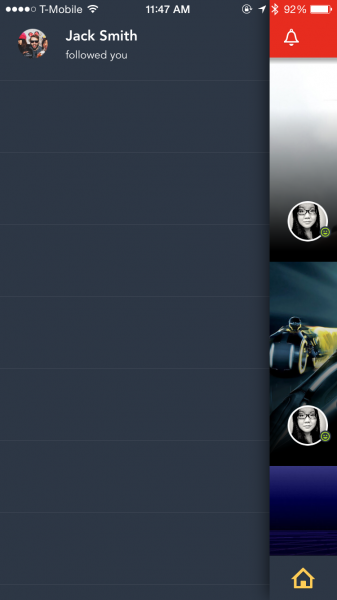 It’s stunning in terms of design, and incredibly intuitive to use. The Watchlist and notification functionality is a must, so it’s nice to have those in the app. The Collections are a nice feature addition that is sure to help you find something obscure. 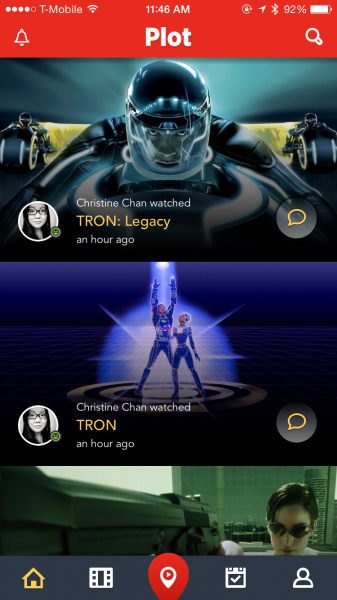 While I’m not usually a fan of apps that are mini social networks, something like Plot is an exception as it is much easier to keep recommendations from friends about movies in a single hub. Unfortunately, this is also the flaw of the app, since it is more useful if you have more friends on the service — a double-edged sword, if you will. Regardless, I recommend checking out Plot if you’re a movie aficionado. 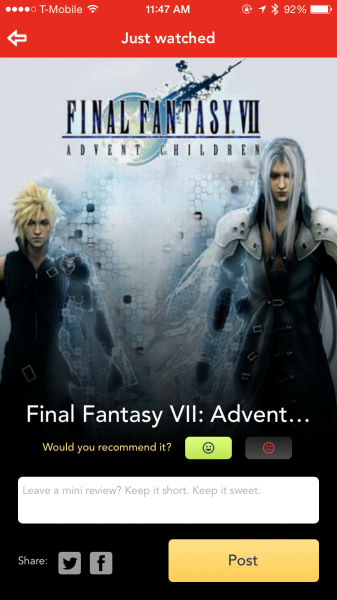 It’s a fantastic app for keeping track of what you’ve seen, what you want to see, and what your friends recommend. 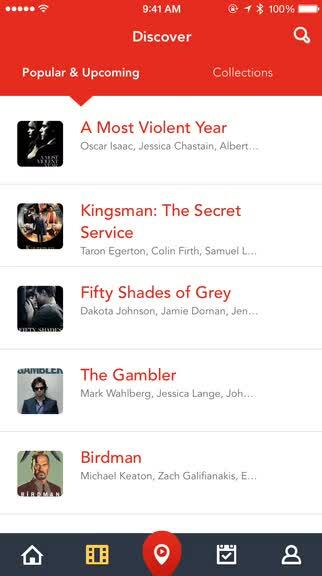 You can get Plot – Discover and track movies on the iPhone App Store for $1.99.